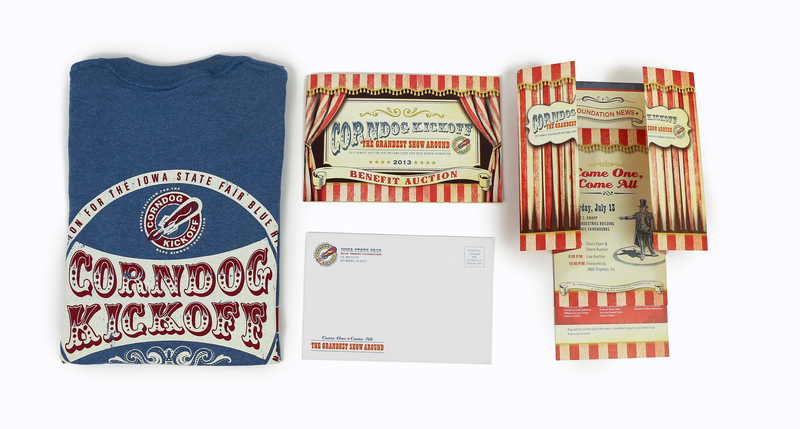 Every year Sigler looks forward to designing for the Corndog Kickoff (CDK) Benefit Auction and Fair Food Grazing Party campaign — complete with live entertainment, all the Fair food favorites and a variety of unique auction packages bound to pique the interest of any State Fair enthusiast. I have been fortunate enough to be the designer working on the campaign for the last 5 years and it is always one of my favorite projects. It gives me a chance to stretch my creativity and is a great collaborative effort with Drew and Robin from the Blue Ribbon Foundation. Each year Drew and Robin come up with a general overall theme. 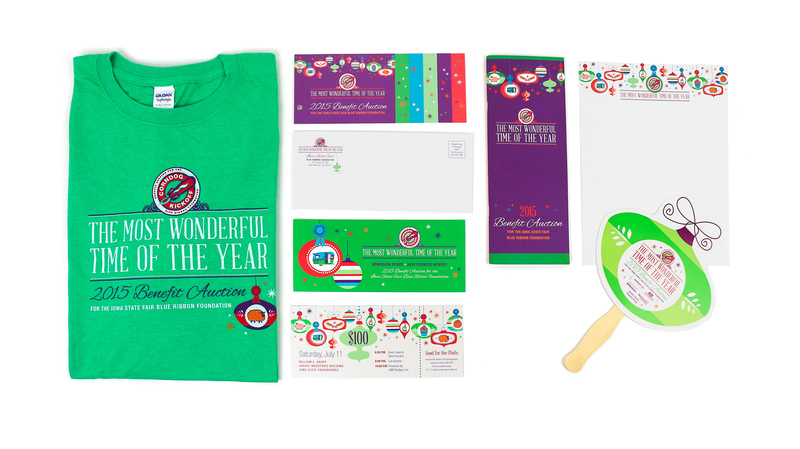 In past years the themes have included: an old-time circus, rock and roll, Christmas in July and locally grown. 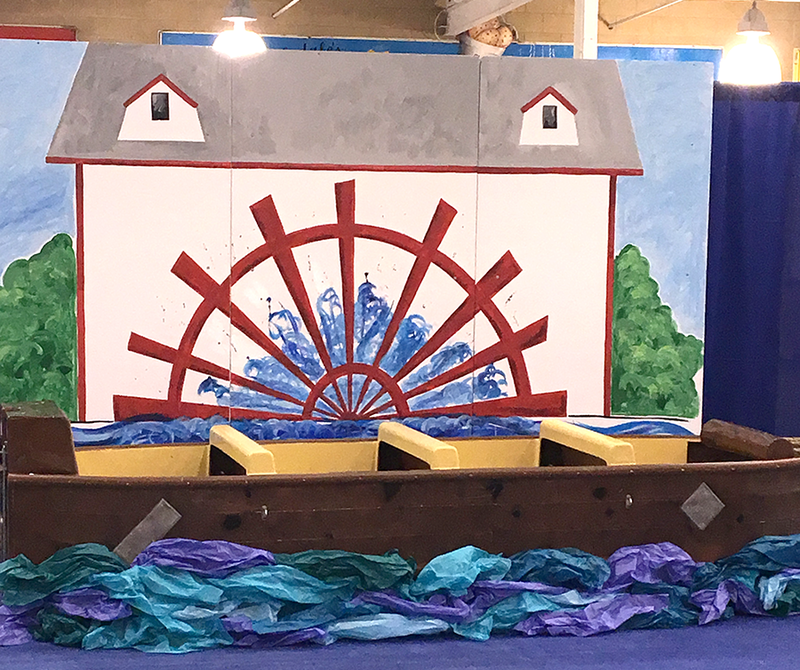 This year the theme was all about the updates to the Midway rides. After the theme is established we get together and brainstorm. This is an inspiring meeting and we all get excited about creating the elements that go along with the CDK. After our brainstorming session, we create timelines for design, proofing and production. 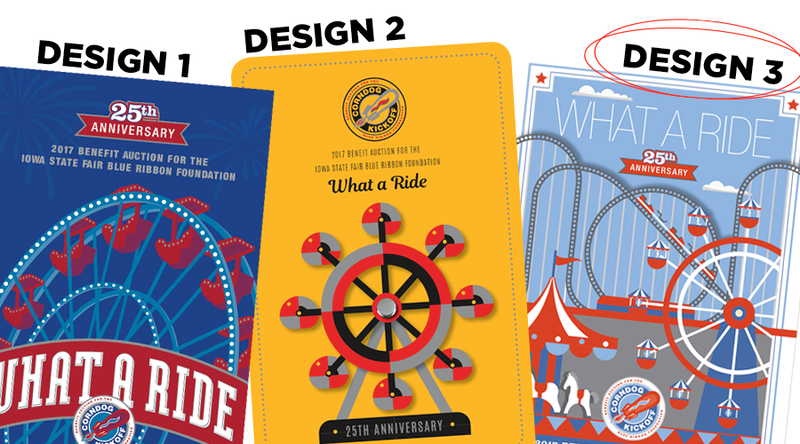 I get my creative juices flowing and come up with three design concepts. 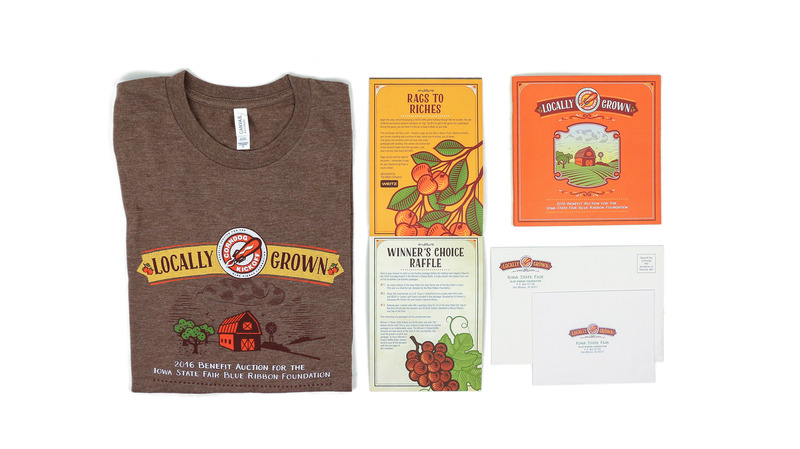 We usually start with the letterhead but this year I started designing three invites to illustrate the concepts since it is a more involved piece. Drew and Robin then decide which concept they like and the campaign takes off. 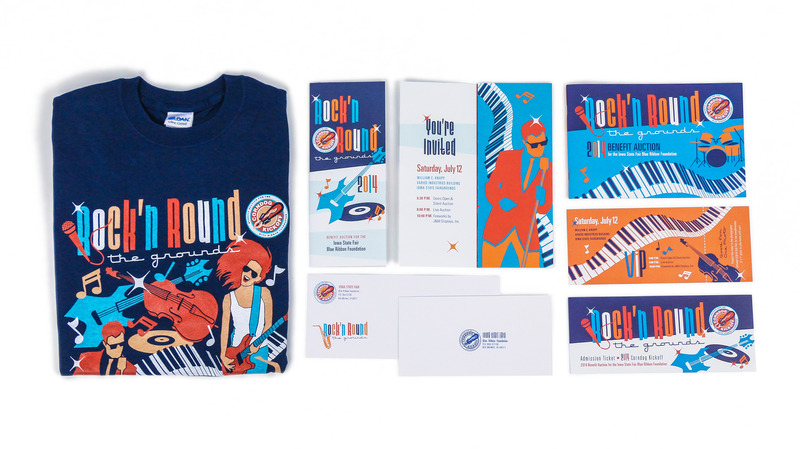 The main components of the campaign include: letterhead, invite, RSVP, envelopes, tickets, a handfan for the auction, T-shirts and the auction book. The pieces all need to be cohesive so the style of the elements, typography and color scheme are all carried throughout. 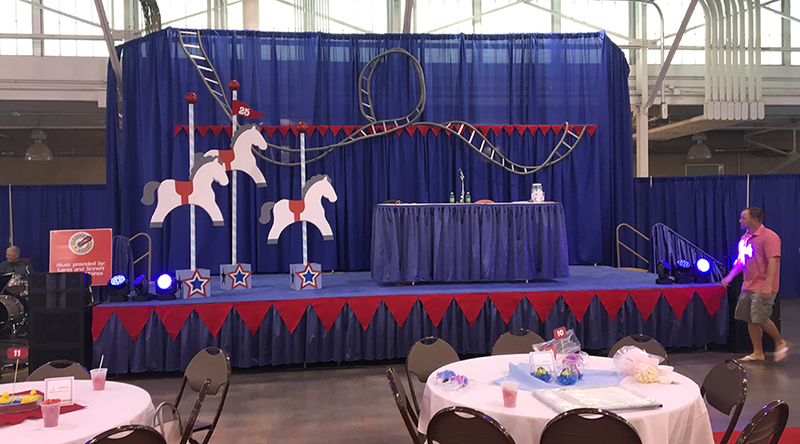 Event decor, back drops and table settings are put together using the design elements. For a designer this is a dream project. 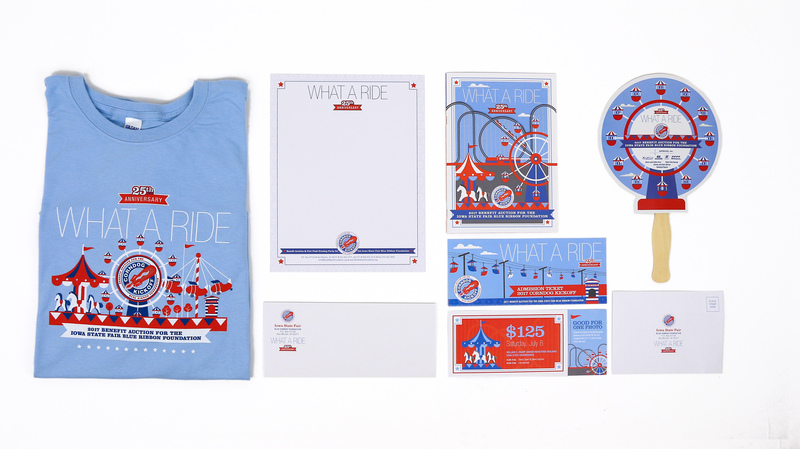 We have the freedom to pick the color palette, size, format, binding and specialty treatments such as a die-cut. The style can be hand-illustrated (which is my favorite! ), designed with vector images or a combination of both. In the end, making the client happy is the most satisfying feeling.